For students who already have a basic grasp of the language, staying with a host family is a fantastic way to improve your Spanish. Our host families have worked with us right from the beginning, and staying with one will help you get the most out of your course. Nothing could be better than to practise Spanish with a Peruvian family. You will be warmly welcomed and have the opportunity to learn about Peruvian family life and traditions. You will have many opportunities to practice what you have learned in class. CEPESMA Spanish School can provide you with modern and secure accommodation in friendly home environments located just ten minutes from the city centre. 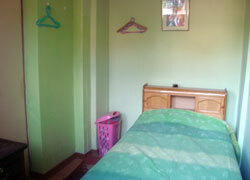 At each of our home-stays students have their own bedroom, with a private bathroom.Breakfast is included in all home stay prices. 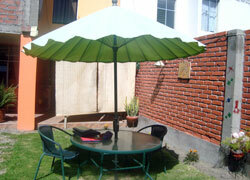 If you do not wish to stay with a family, we can help you to find accommodation in Arequipa that will fit your budget.